Education is the key – a truth that has come up over and over again whenever we have gone into intense debate over any issue. It is the only bulwark on which one might harbour any hope for the future. Children need to be educated in the real sense of the word, not as fact spewing machines, intimidated by authority, unhealthily competitive, low in original and creative thoughts, fearful of judging, eager to follow instructions, and with a greedy eye for the short-term meal ticket. The Right to Education Bill was mooted three years ago when the Reservations Issue was in full spate, with protests and self-immolations happening in the student community. The Bill proposed that underprivileged children should be given 25% reservation in elite schools. There must be no admission selections based on any kind of interviews or donations. Free education is the birthright of children upto grade 8. The Bill was forgotten, and since has been sluggishly lying around waiting for the elections to resurrect it in the form of “reforms” that the government would like to impress on people’s recent memories when they cast their votes. Be that as it may, it is still a blessing that it has raised its head and there is once more a revival of the primary school reservation issue in the news. Imagine children from the slums sitting with the richest kids and learning from the same texts, the same teachers.. I cannot think of a more beautiful scene. And it has taken us a whopping 62 years to even reach this place limping along.. will the Bill see the light of day? It is time to cross fingers and toes on that question. I remember the children of elite schools being depressed at the thought of sharing their space with slum dwellers, the owners and heads will probably be depressed at the dip in snob value, and the politicians might have a nagging worry about empowering the illiterate masses. However, if we can swing this, we might be able to get to a level of some degree of betterment in our fortunes. Government will of course have to invest in food, uniforms, transport, extra tuition and counselling for these children. I hope they don’t scrimp on it and set it up for failure, so that they can all go back to their comfort zones of snobbery, vote banks and campaign bribes. What one also needs to redeem is the education itself. Are we going to have more lemming-like hopefuls in the job market, who have poor communication, organizational and leaderships skills, or are we going to have well informed thinking and creative young adults who feel the dignity of labour, have wonderful means of leisure, are comfortable and balanced in diverse circumstances in their lives, and are able to look forward to the future with a sense of equanimity and fulfillment? This is only possible if we do something about the curriculum. The first thing to do is not to dumb down children. There is a tendency to get children to parrot information and to assume that they are incapable of understanding. This is how the teacher mafia makes sure that their own lack of knowledge is not exposed and they have something to do to justify their existence, and any unpredictable questioning does not damage their egos. Next, we need to change methods of teaching so that we don’t put a mass of information on the kid to churn out at the opposite end in exactly the same form and call it an examination. We need to make sure kids know concepts which means that in geography they are aware of how landforms are all we might really need to predict climate, crops, flora and fauna, people, food, occupation and lifestyles. In History, children need to use multiple sources to form their own conclusions so that we are aware of how the partition of India is viewed by historians from Pakistan, British records, old newspapers, memoirs of both Hindu and Muslim leaders and posters, painting, movies of those times. In languages, we need to have viva as one of the core examining tools so that we know the kids can speak and articulate in the languages they spend a lifetimes on. In science, we need to build curiosity about the world around them so that they see in everything a hidden experiment waiting to be done and in maths, a connection to life that is as old as we are. Can we achieve this? I have just overhauled the language curriculum in one school and in two years of its inception, English there has topped 2000 of the best schools across the country in an international standardized test and left its competitors far behind by a huge margin. Was it easy? No. But it is a test of stoicism to achieve what was thought to be impossible. It can be done. The trick is to change the comfort zones of teachers, parents and children. They will never then go back to the substandard. I am proud of this effort because it tells me that this can well be a microcosm for the country. To set up a culture of competence and excellence. How many times we use that as jargon. How many of us will bite the bullet and strive all the way? If our leadership deems it so, trust me, we will kick and scream but we will be dragged to the post. But will they do it? I would like to introduce real education in the form of awareness of rights as in RTI, and consumer forum work, election manifesto reading, constructive protest procedures, understanding basic law, political science, women’s rights, inheritance laws, property acts, sociology and rural development and demographical study as part of learning. Meditation must be made compulsory like sport. Basic life skills as in how to help someone injured, how to inusre and invest, how to use self defense in practice, how to read between the lines, how to preserve one’s health and dignity in a sexually promiscuous society, how to parent, how to pursue goals without flinching, how to gain and keep friends. They can well be part of a language or social studies curriculum. A film study programme or a visit to the courts can motivate them. It is imperative that all high schoolers do a celebratory rail yatra of select villages and hotspots where India is both struggling and making progress. How does the farmer live? How do women save? What kind of arts are struggling to survive? What kind of innovations have local communities achieved? How well are we doing in science? The new kid on the Board block is the IB programme and running up close at heels is Cambridge Education. What do these mean? Most Indians believe they are examinations that do not need extensive study. They are wrong of course. A different approach perhaps, more thinking but not less study because you can’t think unless you have explored several points of view. They have begun using them as buzzwords to mean a good phoren education and seeing it as a magic wand to enter the realms of foreign universities and great jobs. And, they are not wrong entirely. So let us see what they mean? First, these courses are frightfully expensive in doing the very things that commonsense must dictate to us as easily feasible if we had the will. Both programmes are about skills rather than content because if you have the skill you can be an autonomous learner. They are both about social consciousness and empathy. The IB also has a component where the philosophy is reflected upon in Theory of Knowledge, which is looking at different sources of information, looking at perspectives, questioning the truth and validity of popular opinion, understanding how we believe what we believe. Open ended and exploratory it builds thinking and character. The programme has a greater level of difficulty and sophistication in the language, arts and the social sciences segment because these are disciplines with a multitude of skills and nuances as opposed to exact sciences which have boundaries in their early study. Music, art and sport form the other area that cannot be neglected as extra stuff. They are the very soul of our leisure and enjoyment in later life. To appreciate them better through knowledge is more of what we should seek, than perfecting their nuances ad nauseum and getting deemed unfit in a particular aspect. The Education department will do well to take several leaves from these Boards and design our curricula to meet such objectives. Then we will have our own homegrown curriculum that is affordable, spirited, positive and make our children thinkers, reflectors, doers and leaders. And what is more, that will include our slum children – and soon our tribal children, who will be more enlightened, less discontent and proud of their heritage, culture and country. The purpose of a Free Journal as part of the English curriculum is to provide the child with unrestricted opportunity to express thoughts and ideas, to practice writing as a skill and to explore topics that are close to the heart. In all good schools, it is a routine practice internationally, to use the writing journal from grade 1 when the child begins to write, up to grade 12 where it is assessed for the Board examinations. Whereas the grade 1 child would write on topics like: My birthday party; My aunt’s new cat; I love going to the beach; My favourite food or My pet caterpillar, the grade 12 goes through two years of personal, social and political observations to choose 10 items to be sent up as a testimony of the ‘growth of the mind’ and how the English course has influenced their thoughts and responses to life. As I find a lot of angst among parents regarding free journal, I am writing this note to help you not only to see the benefits but also to give you some ideas on how you can proceed. Journal writing must be done every week. If it is a chore for the child, he/she will be unhappy, if he/she sees it as an exciting journey, he will love it. Invest in a good writing book – the kind that invites the child to write. You can create an index of weeks /topics/ remarks. This makes it look organized and manageable and official. Encourage decorations, stickers, illustrations, photos to make it colourful and inviting. Reluctant writers should be made to develop their writing skills in small steps. Negotiate a slow and steady increase in the quantity. Begin with a few lines and gradually increase it. Free writing has no word limits, so there is no need to be anxious over small pieces. What is important is that writing has quality and the child is using good vocabulary and similes, description and overall the writing improves over time. If the writing is over- corrected or the child feels he can never be good enough, then that demotivates the child. Always comment on what is good and give a few suggestions on where to improve. An adult’s initial participation in an activity means a lot to the child. So reading texts or stories together, researching the net for a topic, talking about issues – all of these are ways to get the child to begin writing with enjoyment and enthusiasm. Pictures are excellent prompts for writing and the newspapers are full of it. Make a collection together to choose from, for writing. These can be used for simple descriptions of what the picture is, to imaginative description of any one character, or what will happen next, or a make believe story. The child could write a story, a dialogue or a mystery around it. Family and photo albums are great ways to write about family and friends and occasions when the pictures were taken. When pictures get stuck in the journal they come alive, making it a thing of joy and pride. If the child is proud of his/her journal he/she will even want to make a first draft in rough and write the real thing neatly in the journal. Get children to don the Reporter’s cap. They could look at news items on sports, films, technology, advertisement and weather every week and make a newspage. A piece of news on what is happening in the world, environment, science can be read together and the child can report it in his/her own words. Cartoons, recipes, jokes, TV shows, observation of people around, interviewing people for information are all great motivators for the reluctant writer. Let us ask grandfather what he used to play with when he was a child is a way to gather information and then write about it. You need to plan the journey together. This week what shall we write about? Let us do this…. Let the reluctant child feel that you are part of it. Research is a great way to gather content. Surf the net for information on cars, airplanes, kings, robots, magic, animals etc. This will also enhance search skills. 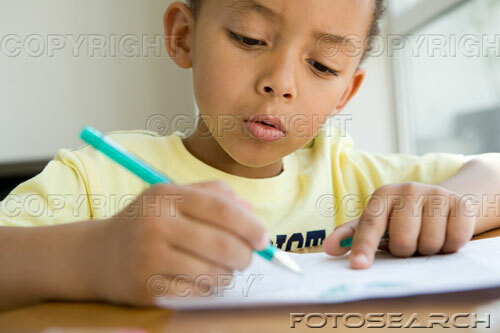 Once there are points to write, the child will feel more supported. The journal, as you can see, is a vehicle for all round growth. The child can also be asked to do book/film/TV show reviews. He/she can discuss with you general topics like money, weather, sports, movies, clothes food. If you eat at a new restaurant, encourage the child to write a report on how good it was, give it stars on space, food, service, ambiance etc. Was it child- friendly? If the child does this over a few weeks, a bar graph can be constructed on the quality of competing restaurants. Creating characters is fun too. Looking for weird names, strange features and behaviours. Creating locales to describe. Making a police docket of the most wanted gangs. Stories of adventures can be made from motley characters. The child can take random people, creatures, objects, locations, problems and create fantastic stories. E.g. a bad tempered dog, a bag of diamonds, an escaped lunatic, a car with faulty brakes, a sleepy policeman : connect them and make a story. Random words can be generated from a dictionary. You can also fold a paper into two halves and in one half make a list of random people like a retired doctor, Shah Rukh Khan, a mean housewife, a paranoid parrot, a pious thief etc. on the other half make a list of actions like stealing flowers, spying on a neighbourhood house, mending a broken mixie, dancing on the street, playing in the park etc. Make these into chits and pick one from each set. Combine and you get a story like… I saw Shah Rukh Khan playing in the park or I saw a retired doctor stealing flowers….I saw an alien washing his dog…. A funny story can be built. Use an encyclopedia to find out rare facts and the child can write them in his /her own words. These can even be cleverly incorporated in a story. The child could do a brag story or a tall tale and tell all the lies that he wants. The bigger the lie the better the story. Create debate scenarios where the child has to play the devil’s advocate. Why it is good to sleep late or why latecomers should be given a reward, or why writing is better than reading, or holidays are boring. An easy thing to do is to report weekend activities. Plan good ones like going on a bird watch; driving around and counting cops, garbage bins, open spaces in a locality; meeting unusual people; visits to theatres and galleries; book shops and art exhibitions; visiting a market; celebrating a festival; attending a public meeting; watching a street procession; going to a temple; visiting a factory, a day at the zoo; watching kala ghoda street artists. All these are experiences that can be described using sense vocabulary, people, event and locale descriptions. Use poetry. Visit poetry sites and read aloud. Make a collection of good poetry over time. Draw a picture of a poem. Let the child write a similar one. Listen to songs and categorise them according to themes. Advertisements, jingles, brochures for a cake shop, travel posters, design a new gadget, make a magical product. Do something new. Bake a dish, do a craft, do a science experiment and let the child report the procedure. More topics: Invent a phobia and explain it. A box of secrets. My neighbour is an alien. The evil robot. A bad habit. A weird dream. A street fight. Like a diary, the journal can be therapeutic. The things I like and the things I hate…. I am annoyed with…. I am pained by…. I love it when…. I wish….. This can lead to useful insights into the hopes dreams aspirations and fears of the child. The child could also be encouraged to make ‘gratitude journal’ entries on the things he/she is blessed with and what he/she should be thankful for. Introduce the child to philosophy with right/wrong, good/ bad/ is it ethical kind of stories to write about. Introduce the child to social causes. Visit an old age home with gifts, drive through a slum, go to a blind school to help with reading, donate to an orphanage and the child will be overflowing with content and caring. Your participation is very important. Your enthusiasm is infectious. If you read great descriptions and drool together the child will learn to love the language. When you discuss you bond with your child, when you mind-map on paper you teach and reinforce the skill. When you encourage vocabulary you make the words your child’s own. Please see the free writing journal as a great opportunity for the child not just to write but to make him/her a whole person, reflective, compassionate, well informed and fulfilled. Learner. Teacher. Author. Reader. Seeker. Mentor. Educator. Entrepreneur. Contradiction is an enriching thing.